Kenneth B. Robinson & Associates Consulting Structural Engineers provides services to Architects, Owners, Mechanical and Industrial Engineers, and Contractors. The firm is built on providing cost effective solutions to challenging building structures and foundations in the commercial, institutional, industrial and residential sectors. We are located in Mechanicsburg, Pennsylvania (just outside of Harrisburg, PA), and offer engineering services in MD, DE, NJ and WV, as well as throughout PA.
Our projects range in size from damage evaluation and repair design, to equipment support, as well as new multi-story building structures. We do a significant amount of work on renovations to existing structures, many of which are quite old and thus require education regarding past construction practices and materials. Our focus primarily deals with building structures and structural components, or structural evaluation of building components such as exterior non-bearing walls. Our work is very fast paced, and there is often a long interval between repeat structural systems and design. It is very important to have a good understanding of the principles of the various materials used in structural design. We are experienced in all types of structural systems including, steel, masonry, concrete, wood, and light gauge framing. The company was founded in 2000 by Kenneth B. Robinson, PE. We are committed to both professional development, as well as community involvement. Our firm is current with the newest design practices and technologies, as they prove to be a valuable asset to the industry and our company. For example, we are transitioning into using REVIT to generate our construction documents. Our engineers do both the design work and the drawing production work, thus enabling them to be more in tune with the project and have a greater knowledge of the details. This also requires a more in-depth understanding of the construction process and how the components are attached and interact together. 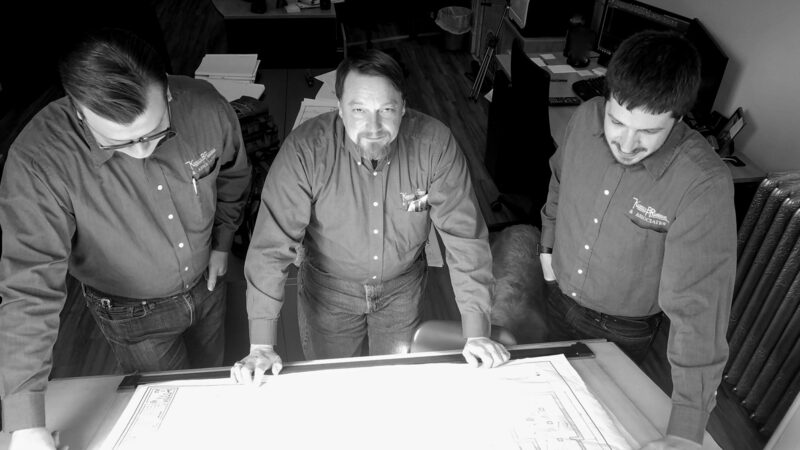 Kenneth B. Robinson & Associates enjoy the challenge of working on a wide variety of structural projects. We look forward to assisting you using our knowledge and experience. OUR MOST UNIQUE PROJECT THIS YEAR! The height was a big difficulty. This caused the studs to be different than we typically use. We had to try to keep it within a relatively tight budget, which made it difficult. The bases of all of the posts had to be raised off of the floor and made of Stainless Steel due to the acidic nature of the animals urine. The posts in the barn are actually designed with an animal kicking them in mind. The doors are very tall doors for the animals and required the use of special tracks. The railings were designed with the knowledge that there would be food basins along them. Due to the height of the building being 35 feet with 20 foot walls, the need to utilize double 2’x8′ studs was required. The lateral design was very difficult. This included the sheathing and the hold downs. Originally there was a Zipwall system that was being utilized, which offers little lateral resistance, so we had to focus the resistance using the interior sheathing. In the slab, certain sections were depressed to allow for a specific fill to allow for a more cushioned feeling for the giraffes. Floor slab drains were installed to allow for an easier clean up and radiant heat tubing through-out, to allow for the opportunity of heating the floor for the animals. A second floor was added for hay storage. The mechanical area was a concern, due to the original plan to have the HVAC in the ceiling. It was concluded, the animals would not like the mechanical units being so close to their heads, so the units had to be moved. In addition, part of the project design included special foundation and poles to provide 20′ tall shade canopies for the giraffes.